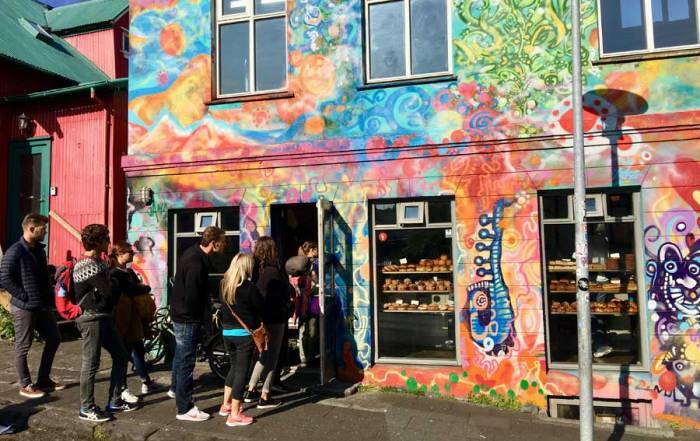 Reykjavík – cafes, clubs, pubs and brightly colored wooden houses. This is the capital of Iceland and its economic center. Eat at the Perlan (The Pearl) in the glass dome on top of the city’s reservoir tank of natural hot water. Visit a museum such as the National Museum of Iceland, Saga Museum (located at the Perlan), Reykjavik Art Museum (Hafnarhusid) and the historic buildings of Arbaer Open-Air Folk Museum (Arbaejarsafn). Visit Hallgrimskirkja Church and Landakotskirkja (“Christ’s Church”). On the waterfront visit the Harpa Concert Hall. Catch a view of Mt. Esja and the massive Sun Voyager sculpture of a Viking ship by Jon Gunnar Arnason. Also see the Þúfa by Ólöf Nordal in the harbor by the fish plant. It’s a thufa mound with a fishing shed on top. Swim in the geothermal beach at Nautholsvik. 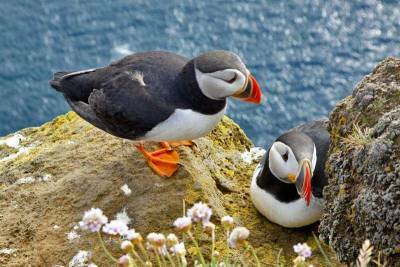 Akurey Island (Puffin Island) – see puffins a half mile off shore from Reykjavik. They nest from May to mid August. It’s a 15 minute boat ride from Reykjavik. The shore is too rocky to land, so boats typically circle the island. Take a Puffin Watching Cruise to Akurey from Reykjavik. Secret Lagoon roundtrip from Reykjavik. Elding Whale Watching from Reykjavik. View the Northern Lights on clear nights from September to April. Take a short boat trip from Reykjavik to Videy Island, where there is a restaurant in Videyjarstofa House, the first stone and cement building in Iceland, built in 1755. There are good opportunities to view seabirds too. The Blue Lagoon – the most popular attraction in Iceland is located 47 km from Reykjavik. The blue geothermal pools turn you milky white. 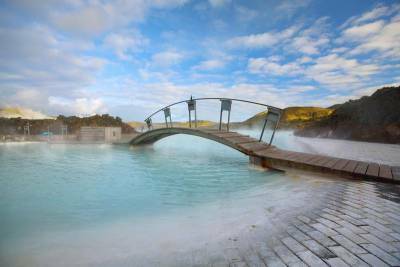 Try Blue Lagoon Spa Roundtrip from Reykjavik. For late flights out of Reykjavik, check out of your hotel and bus to the Blue Lagoon, where baggage storage is available. 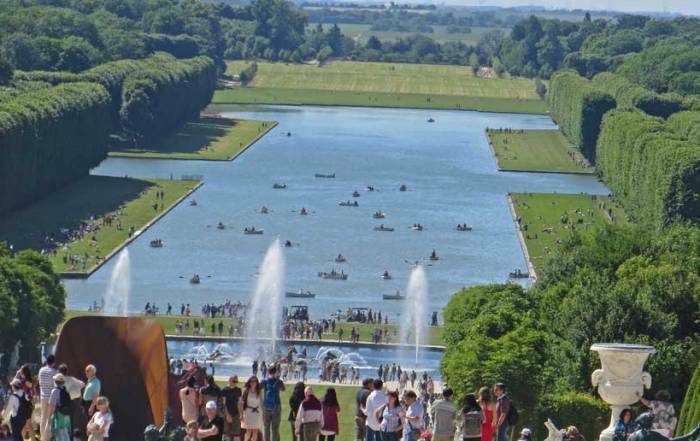 Spend the day at the lagoon and then collect your luggage and bus to the airport. The Blue Lagoon has become so popular that you must now pre-book your entrance time. 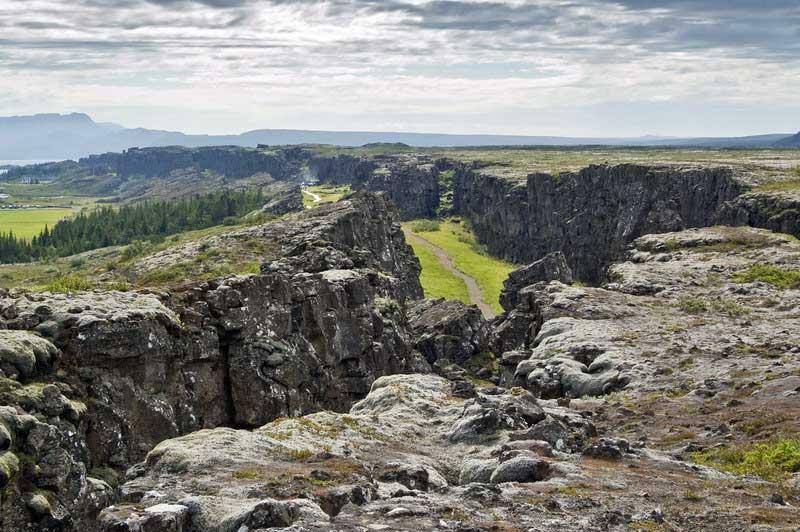 Thingvellir (Þingvellir) National Park to see geological evidence that the North American and European plates are splitting apart from each other. The original Icelandic parliament used to meet here. Near the Geyser Center, the Strokkur geysers erupts about every 10 minutes. There is also a bubbling hot pot nearby. 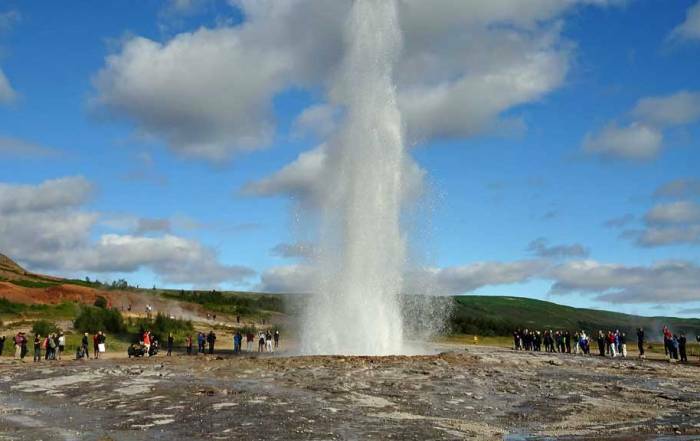 The Stori Geysir has become inactive, so don’t expect to see it erupt. A few minutes from the Geyser Center is the spectacular 1,000 foot waterfall at Gulfoss. This waterfall changes directions over its two cascades and then disappears in chasm at its base. 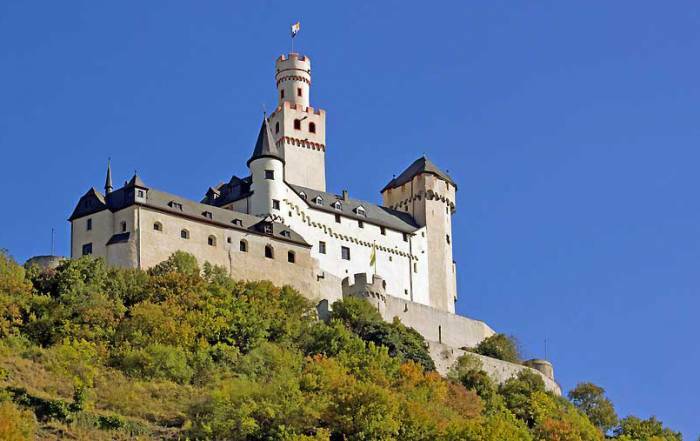 The above 3 main attractions are along the same route. 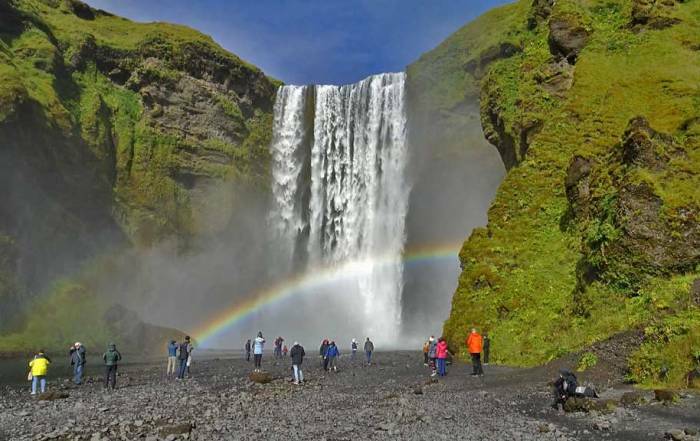 Most tours then create the “Golden Circle” by returning to Reykjavik along a different route. Stops that might be added on are Kerið volcanic crater lake, Hveragerði greenhouse village, Skálholt church or the Nesjavellir geothermal power plant. 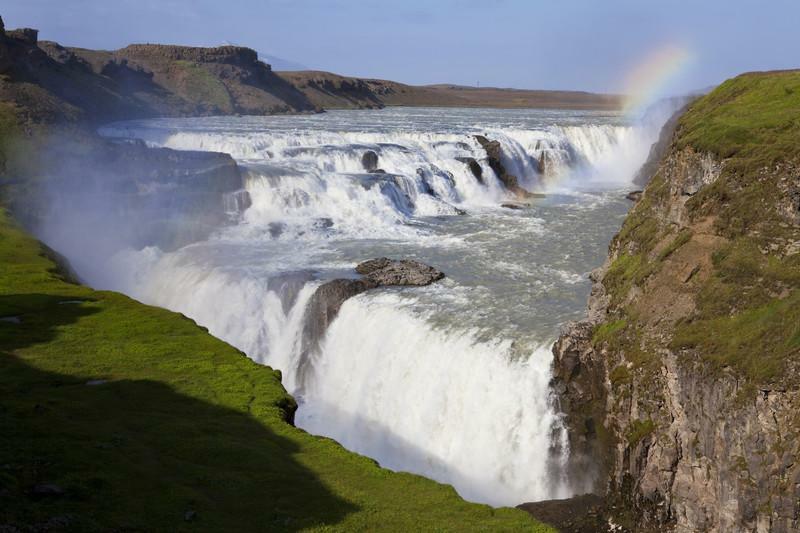 For the shorter version, take the Gullfoss and Geysir Express Half-Day Trip from Reykjavik. 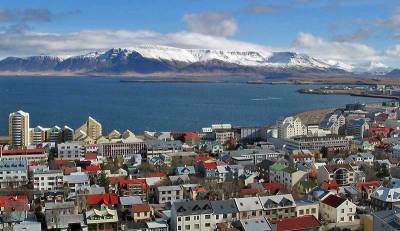 Travel 2 hours south by rental car from Reykjavik and board the ferry as a passenger. You will arrive in Westman Island 35 minutes later. Take a local tour to see puffins nesting in the summer months. Enjoy the charm of this small community that had to be evacuated in in 1973 because of a destructive volcanic eruption. 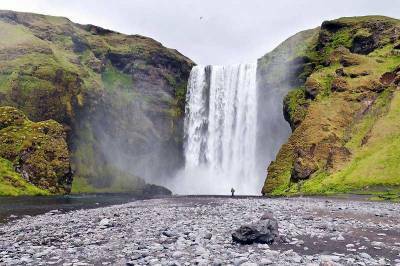 Stop at Seljalandsfoss Waterfall and Skógafoss Waterfall on the mainland on your way back. Reykjavik hotels are quite expensive. Many accommodations are simple B&B rooms with shared bathrooms, so read the details carefully when booking. Air BnB is a reasonable alternative for Reykjavik. You won’t save much, but you can improve your living quarters significantly at a comparable price. West bound flights usually leave in the evening, so check out from your lodging and then take your luggage to the Blue Lagoon. Spend the afternoon relaxing before your flight. 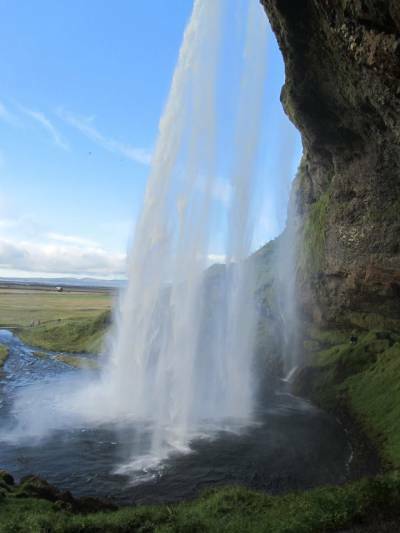 Seljalandsfoss Waterfall – popular because you can walk behind this large waterfall and take pictures over the plain that it falls on. Skógafoss Waterfall – the highest waterfall in Iceland and a large volume of water too. Reynisfjara Black Sand Beach – At the start of the beach are basalt columns, sea caves and pinnacle columns in the ocean. Tours usually stop in the nearby town of Vik as well. Some tours also stop at the base of the Sólheimajökull Glacier. Along the route catch views of the Eyjafjallajökull glacier which had a volcanic eruption in 2010. It takes nearly a week to drive the Iceland Circle Ring Road. You can see sights like the small town of Akureyri, the Godafoss Glacier and the Snaefellsnes Peninsula. 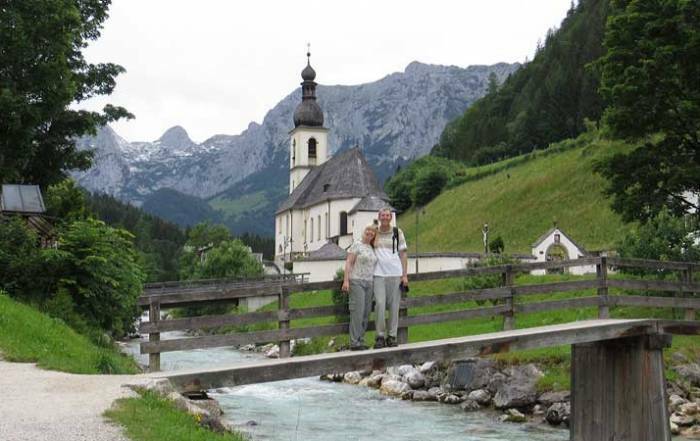 You’ll see fjords, waterfalls, glaciers and hot springs throughout your trip. Be prepared for extremely high food prices in Iceland. 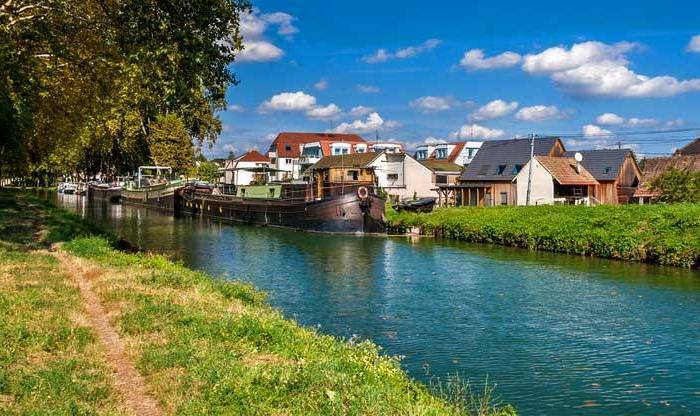 Almost everything is imported and the standard of living is high. Food prices are higher than Switzerland and French Polynesia. Try eating whale, puffin, salt cod, mashed haddock, guillemot, rotten shark, warm potato salad and/or sheep’s skull. Have Arctic char with warm potato salad and salsa under the fish skin lighting at the Reykjavik Fish Restaurant or try Gló for vegetarians. Have a hot dog at Baejarins Beztu in Reykjavik across from the Harpa concert hall. Many international celebrities have made the pilgrimage to this hot dog stand. Eat Danish pastry for breakfast at Brauð & Co. The main bakery downtown is very popular. Skyr cake – classic Icelandic cheese cake. 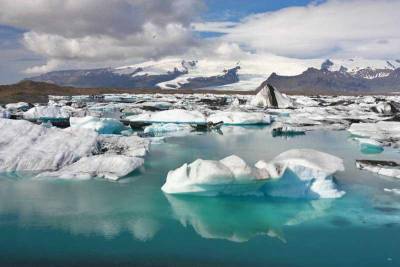 Iceland weather is influenced by the North American current, making it much warmer than might be expected in winter. At the height of summer in July and August, Iceland weather has average highs of 57 F (14 C) while lows average 48 F (9 C). In winter, from December to March, average highs are 39 F (4 C) while lows average 28 F (-2 C). Precipitation is highest in the winter and lowest in the summer. That makes July a good choice for you to visit Iceland. Keflavik International Airport (KEF) is how visitors get to Reykjavík from the rest of the world. Keflavik airport is on a peninsula about 45 minutes east of Reykjavík. Not many international airlines stop in Iceland during the winter months, but Icelandair operates year round international flights. Iceland is a pleasant place to take a break on a transcontinental flight journey. Regular bus service from the Keflavik airport is used to get to Reykjavik and to the Blue Lagoon. FlyBus shuttle bus rates are quite expensive compared to other countries, but much cheaper than cab fares. For travel around the island, rental cars work well. You can rent cars at the Keflavik Airport 24 hours a day from major car rental agencies. 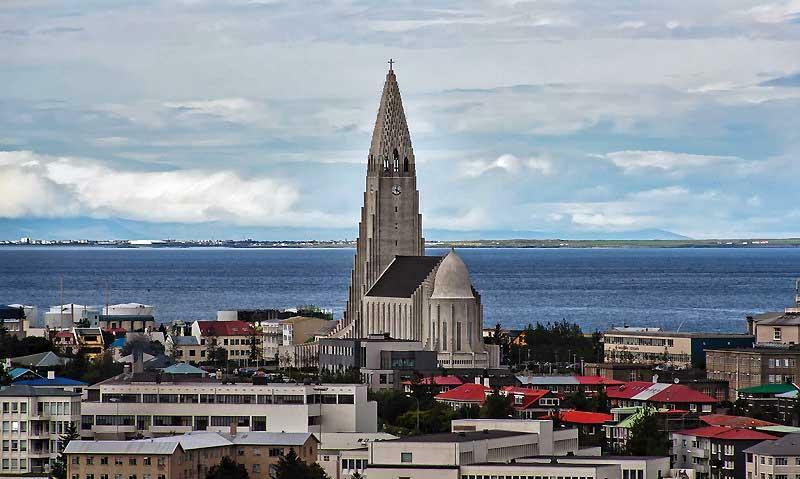 Tour companies also offer many options to the major attractions from various pick up locations in Reykjavik. 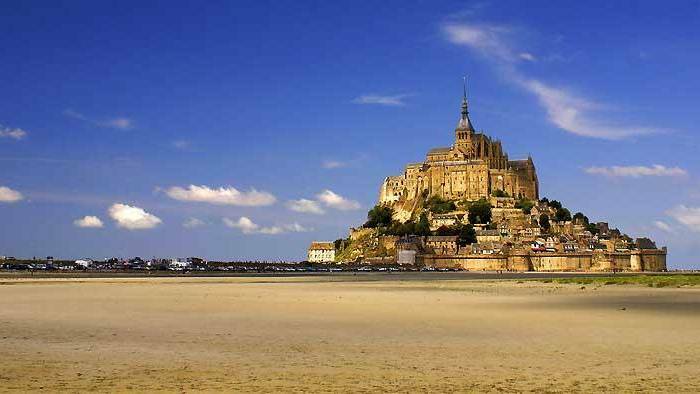 Renting a car is often cheaper than taking a couple of organized tours, even with the high price of gas. 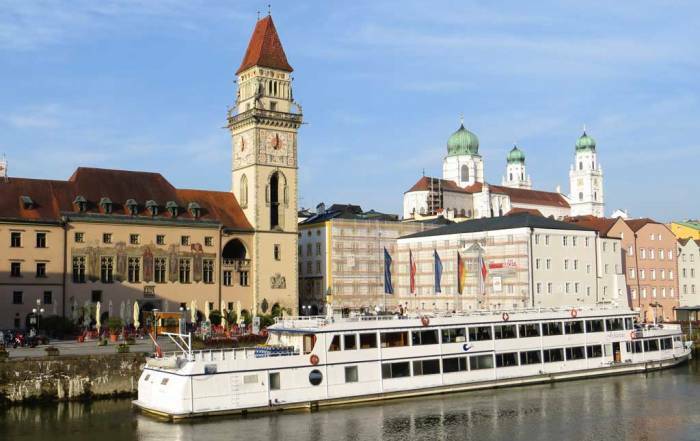 Smryl Line offers ferry service to Denmark. 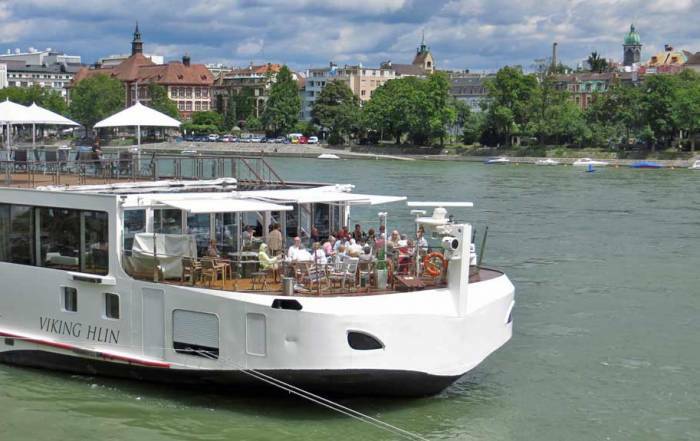 Several cruise lines visit Iceland during the summer months. They visit Iceland at Reykjavik and also other small villages on picturesque fjords of the island. 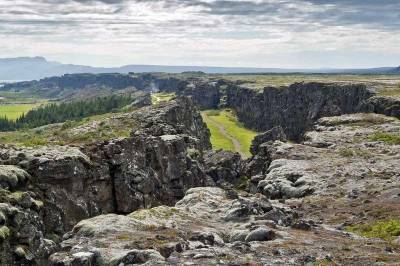 Iceland is positioned directly on the Mid Atlantic Ridge separating the continents of North America and Europe. So, it has glaciers and active volcanoes too. The last major eruption was Eyjafjallajökull in 2010. 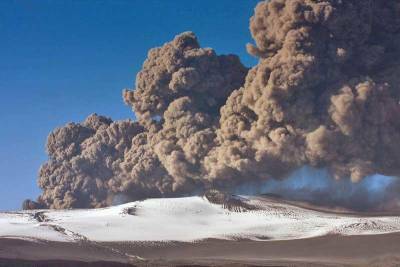 The volcano created glacial flooding, while the ash plume significantly interrupted international air traffic. Iceland was settled by the Norse in the 870 according to Landnámabók, the Icelandic Book of Settlement by the Norse. The Icelandic language has a Germanic derivation from Old Norse. Danish and English are commonly spoken today as well. About 400,000 live in Iceland. 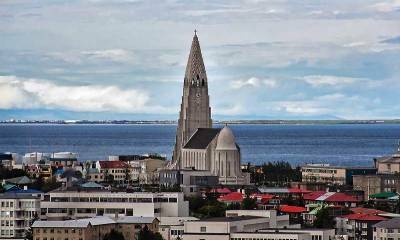 Reykjavik is the capital and largest city in Iceland. Although historically one of the poorest countries in the world, Iceland built a strong financial services economy that made it extremely wealthy in the 1990s.